New Patient Special - $149.00 off 1st Crown! 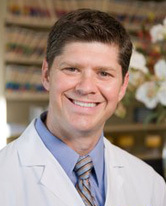 Welcome to Mission Viejo Dentist Dr. Obraitis, D.D.S. Mission Viejo dentist Dr. Obraitis provides the very best in dental care to families of the Southland. The Mission Viejo dentist has been practicing here since 1996 and has seen patients travel from both local locations as well as from around the state to experience and receive the warm and personal care that he provides. Finding another Mission Viejo dentist that offers this kind of dental service is virtually impossible. As a Mission Viejo dentist Dr. Obraitis places focus first on his patients, their questions, anxieties, and needs. It is in this way that the Mission Viejo dentist provides unparalleled and comprehensive dental services. In addition to the fine personal touch that the Mission Viejo dentist offers his patients, Dr. Obraitis offers a wide variety of dental services to his patients. Dr. Obraitis' Mission Viejo dental group not only offers the most comprehensive Mission Viejo dental services but is also friendly and makes their patients feel warm and welcome from the moment they step through their office doors. No matter whether you need a Mission Viejo cosmetic dentist, Orange County teeth whitening, or simply need a checkup, Dr. Obraitis is the Mission Viejo dentist you'll want to see. Click HERE to visit our Mission Viejo Dentist Google Maps Listing to get directions to our Mission Viejo office or read and post a review for Dr. O'Braitis on Google. Click HERE to visit our Mission Viejo Dentist Yahoo Local Listing to get directions to our Mission Viejo office or read and posta review on Dr. Obraitis on Yahoo.